Back with Elijah, Marcel tells him that Davina is on her way and that he must stay out of sight so that he can try and get some info from Davina. As he looks at the chess game in front of him we are taken to another flashback with Klaus and Kol counting how many people they have fed on. Klaus seems to be jealous of the relationship that E used to have with Marcel but still reminds him that he is family. Marcel and Davina meet up and he asks if she can do a locator spell to find the stake and she says no because she hates Klaus and Elijah and refuses to help them out. But Elijah is quick to show up and thus prompting Davina to get mad and leave. Marcel tells E he shouldn’t have come but he says he wanted to see D in person. He naturally asks why and he replies saying that he can tell and knows that the stake won’t be used and hurt everyone that Klaus has sired because Davina has it in her possession. Looks like Hayley found her old pack but it’s going to take something big to make them follow her. 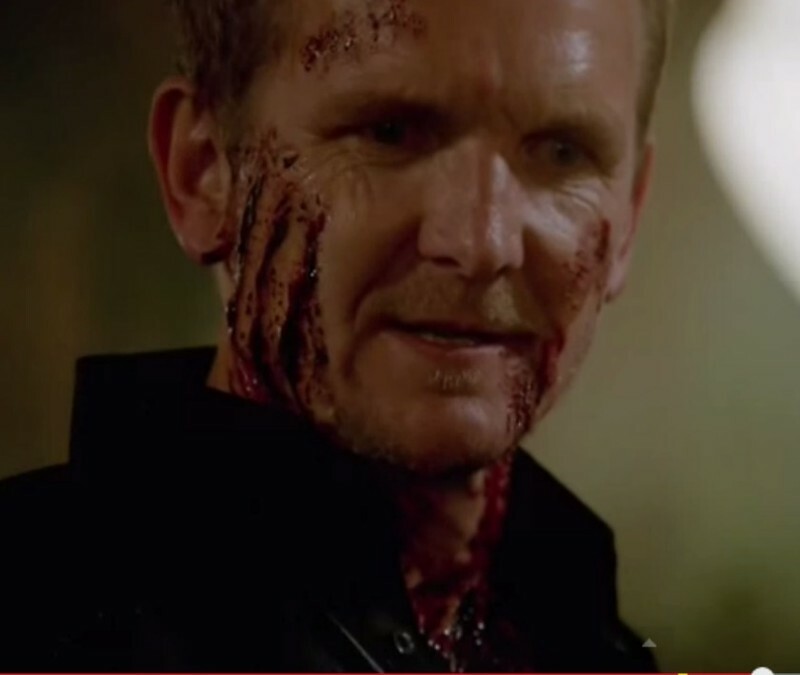 Thanks to Klaus and his short temper he almost kills Oliver who talks back to Hayley and tells her that no one will follow her because she’s a blood sucker. But Hayley tells Klaus to stop and then he tells her that they need to be more respectful and that he is now going to go kill the witch who is going to make the moonlight rings because thanks to Oliver he now knows who she is…kind of. Elijah and Marcel are together and Marcel tells him that he doesn’t know why or how he survived with the Mikaelsons because they have many enemies. We travel back to see Kol showing a young Marcel so much violence and killing people in front of him, terrifying the young lad. Elijah comes in and asks why he would be so violent in front of him. Klaus comes to step in and says something about family and Kol says thanks brother, thinking he was talking about him when in reality he was talking about how Marcel is family and stabs Kol once again with the stake. Oh brother! Now Klaus has made his way back to the graveyard to ask where this oh-so-powerful witch is that is going against him and there she is, “Niklaus, I’ve been expecting you.” When they get together by themselves she apologizes to Klaus about his baby and he asks about why she is making more rings, she says that the vampires are a plague and that she wants to restore the peace in her town. She goes on to explain that because of the vamps they always have to defend themselves and that the rings will forge a balance and safety within the wolves and witches who are packs of families, unlike the blood suckers.Of course Klaus tries to intimidate her and says she should take precautions, she replies that she already is, even as they speak. This is when we see Davina with the guy who is part of Klaus’ mom’s group and he reveals that he is a witch as well. Vincent shows up, another one of the witches, and tells the guy he needs to provoke Davina into using magic and maybe finding the stake. Davina gets a call from Marcel and tells her that if she has the stake to be careful because people will be coming after her, she hangs up and goes inside to find multiple vamps trying to come after her. She can’t fight them all but The Original’s dad, Mikael, shows up, him being a vampire slayer, slays the guys and as Davina is trying to escape loses her bracelet that links Mikael and her together. He sees that she is without it and says, “Oh this is going to get interesting.” Oh boy! He goes to bite Davina and all of a sudden Elijah pushes him off and sees that it is his father. Mikael tries to insert the white stake into Elijah, Marcel tells D that they need to leave but she tells him that they need to find her bracelet to control Mikael. Luckily Marcel finds it and throws it to Davina who controls and stops Mikael from hurting Elijah. Now we have a reunion between father and son. Back with Klaus he is telling the witch about his horrible mother and then figures something out as he remembers that only his mother would use him full name. He knew that the witches were under his mother’s control and now he knows that the young witch is his mom. Now we have a reunion between mother and son. Hayley brings her pack back to the quarters and tells Klaus that they are either with her or with the witches. Elijah listens in and sees that connection with Hayley and his brother. We go back in time and see that Elijah was thinking he needed to distance a young Marcel from Klaus and his family, which is rather sad because he would always take care of Marcel and then decided that he needed to distance himself from Marcel and calls in Klaus to remove him from his presence, thus forging a separation. There’s a lost connection between Elijah and Hayley which is super sad because we loved them together. He tells her that she belongs with her kind and walks slowly. Back with the witches, the guy witch gets mad at Vincent for almost having the vamps kill him, Klaus’ mom tells him that it was part of the plan so that Davina could trust him. What was interesting was that when she asked him what he saw he says he blacked out and didn’t see anything, which we know is false because he saw the white stake and Mikael. Elijah goes to Marcel and they don’t know where Davina is, Marcel tells him that he needs to pick a team. Klaus and Hayley are wolves and they go together but Elijah is an Original and that every vampire stems from him. It’s rather strange to think about it now because we have never seen E and M together so much and we learned that Elijah purposely distanced himself from Marcel growing up. So then he kills the violinist and tells Elijah that she will become a vampire, she will need a mentor and hopefully he does a better job with her than he did with him. 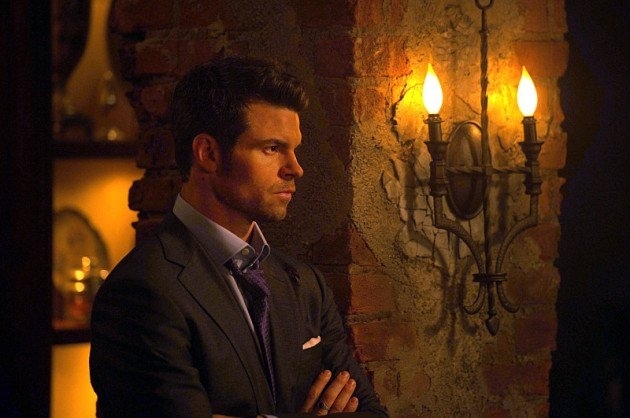 So poor Elijah is on the outskirts looking in, not fitting in anywhere but missing his family. 😦 I’ll be your family!!! Next week promises a reunion between mother dearest and the brothers. What did you think of this week’s episode?